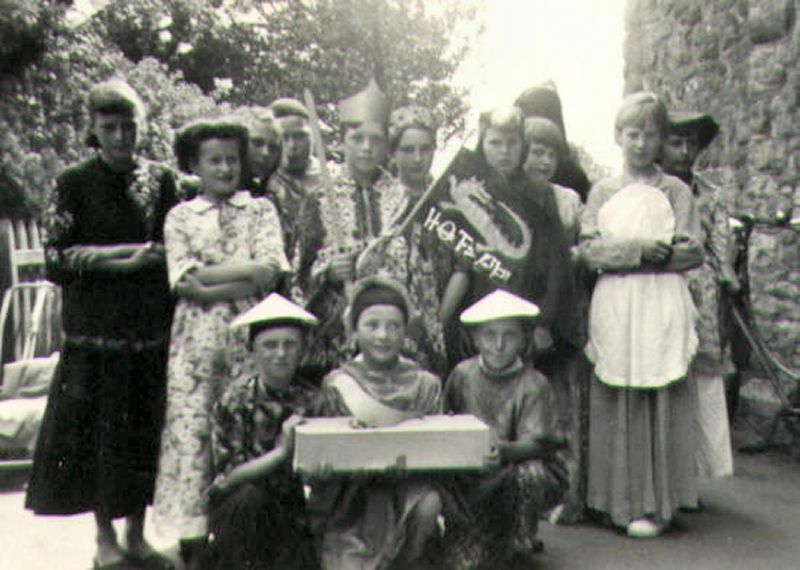 These photos are of a Summer Open Day Play entitled "The Emperor's Nightingale", performed in 1956. They have been supplied by Anthony Breeds and he attempted to remember the names of the pupils. The names could be from back row left, :- ?, Vera Brimm, Gillian Hillier, Shaun Dolan, John Breeds, ?, ?, ?, ?, Marie Valerie Trussler, ? 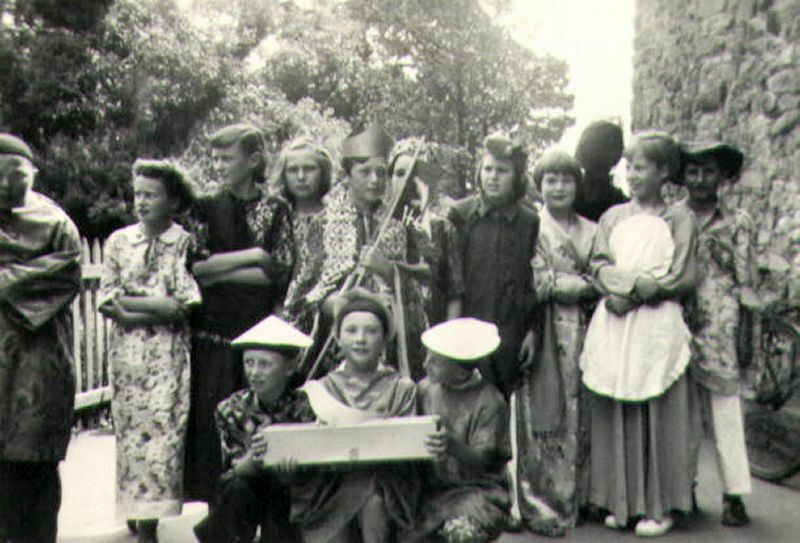 back row :- Shaun Dolan, Vera Brimm, ?, Gillian Hillier, John Breeds, ?, ?, ?, ?, Marie Valerie Trussler, ?